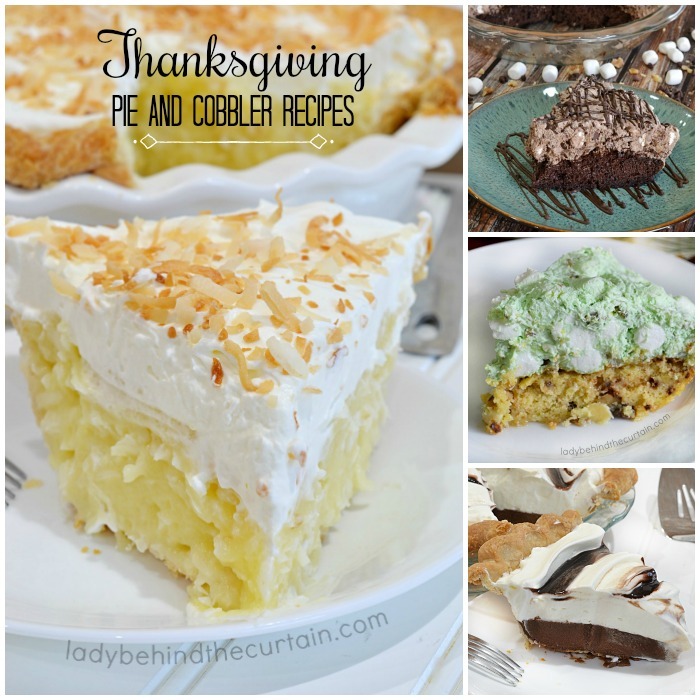 Thanksgiving Pie and Cobbler Recipes | It’s not Thanksgiving without pie! Looking for a new recipe? 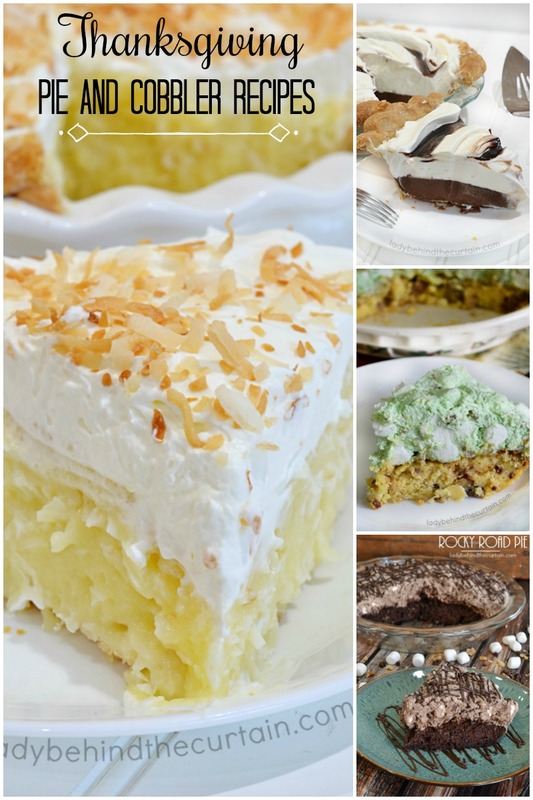 I’m sure you have your tried and true pie recipes that always grace your Thanksgiving dessert table. But maybe this year you’re looking to add something new. How about trying the Rocky Road Pie, Pecan Pie Bars or Mason Jar Lid Cherry Pies? Are you a fan of pistachio salad? Take the ingredients of this famous salad and make a pie! Scroll down to see how!